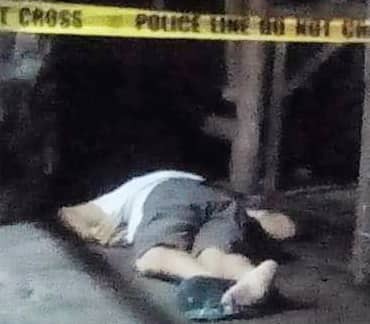 LUCENA CITY - Hours after President Rodrigo Duterte left this City, police ressumed its anti- drug operation killing a suspected bigtime drug pusher in a shootout while conducting a drug buy- bust operation at Purok San Roque on Tuesday night. Quezon police director, Senior Supt. Osmundo de Guzman identified the slain suspect as Amado Lopez Monteverde, highs chool graduate and resident of said village. De Guzman said Monteverde has been included in the drug watch list of Lucena City police station under Supt. Reydante Ariza. Ariza said the supposed arrest had turned to shootout when Monteverde fought it out with police operatives who were about to arrest him. Prior to the shootout, Ariza said the cops managed to buy suspected 4 grams of suspected shabu from Monteverde in exchange for marked P7,500.But when the arrest was about to take place, Ariza said Monteverde quickly ran away. He said Monteverde pulled a cal. 38 revolver and opened fire to the operatives running after him. A running gun battle took place which eventually resulted to the suspect’s death, he said. Elements of Quezon Provincial Crime Laboratory Office who processed the crime scene recovered the suspected shabu, the used marked money and the Smith & Wesson cal. 38 revolver used by the suspect.